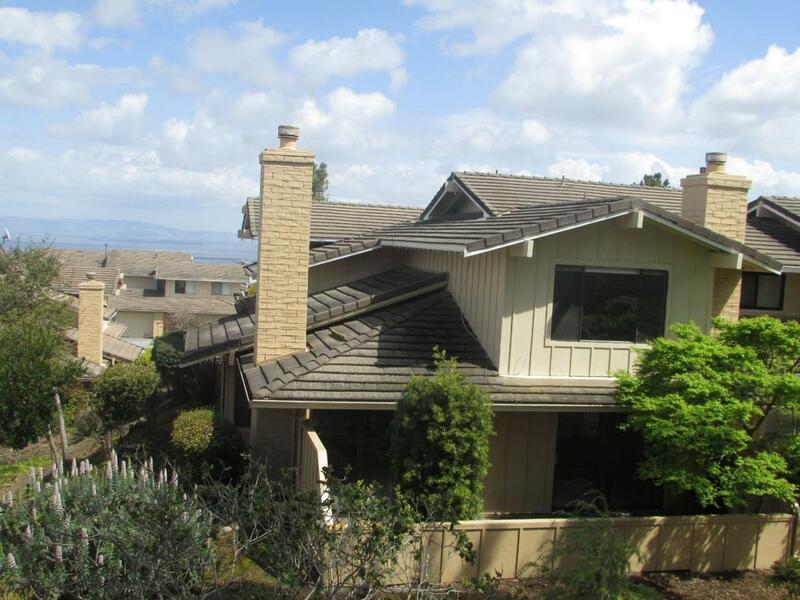 Spacious townhome in desirable Crestview Park, just across from Vista Park & spectacular bay views, open space, hiking trails! Terrific end unit w/privacy & patio opening onto open space; 2 story w/all 3 BR's upstairs incl. X-large MBR suite w/open space views; Bay views from 2 BR's; Huge living rm. w/FP, & dining area; Convenient Family rm. nearby updated kitchen w/breakfast bar, new flooring & lighting; Both family rm.& living rm. open to private patio opening onto open space; Newly painted interior, new carpeting & lighting fixtures; Oversized 2 car garage & additional parking space, plus guest parking; HOA incl. pool, spa, tennis courts, clubhouse; Excellent San Carlos school district at all grade levels; Don't miss this excellent value! Listing courtesy of Chet Lane of Berkshire Hathaway Homeservices Drysdaleproperties.